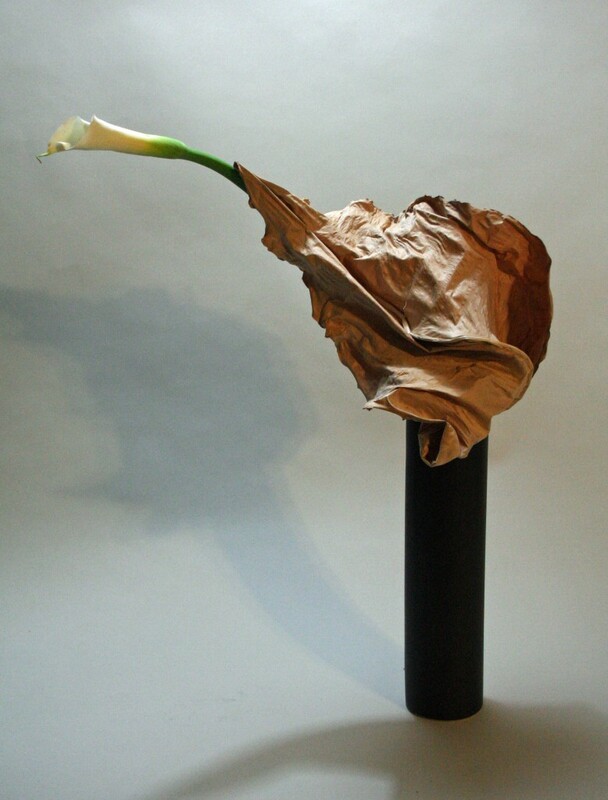 I’m in love with this ikebana I did tonight, simple and sleek. The dried banana leaf is just amazing. 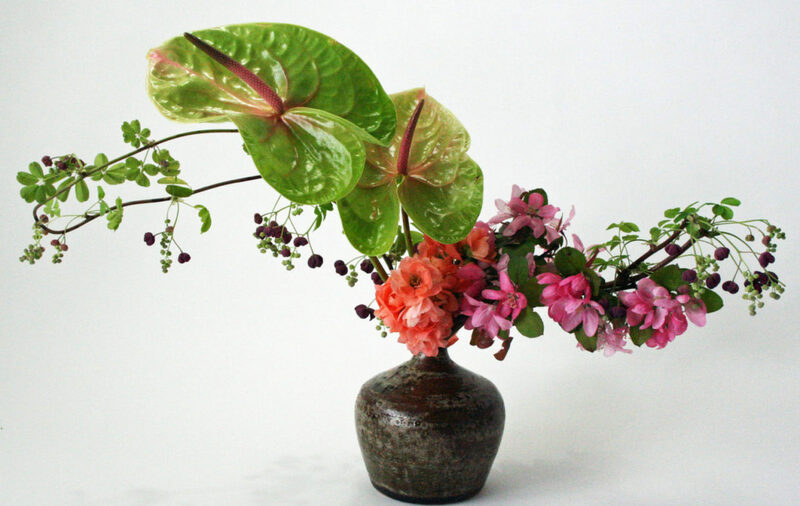 Dried leaves of all shapes and sizes really do work well for ikebana, so you should save some of your fresh leaves from arrangements(or from your household or summer plants) and dry them.